Same time as any frozen steak. This method just speeds up the freezing process. The faster you get you meat to freeze or specifically the moisture in your meat to freeze the better the quality of meat. What about freezer burn? 48 hours seems like a long time. It depends on the freezer and the size of the meat. 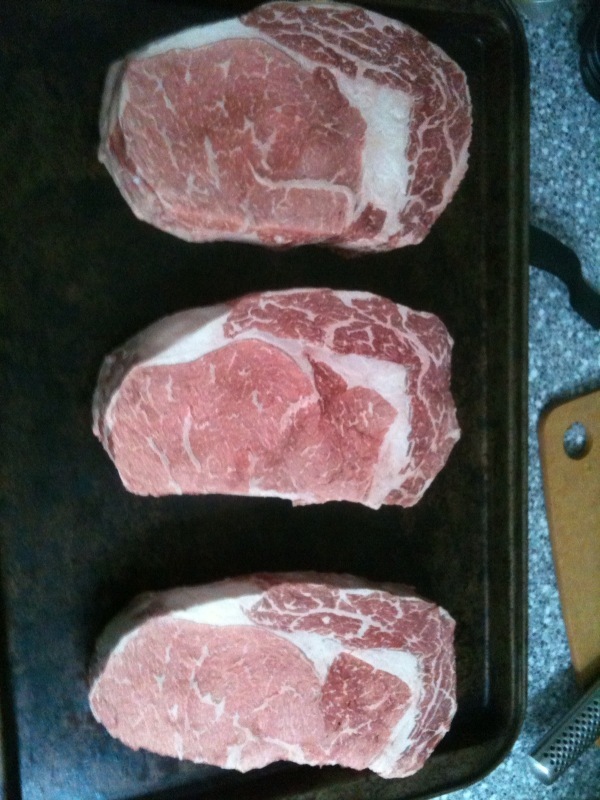 These Costco steaks are really thick so around the 48 hour mark worked great for me. The key is to pack up your meat when you think it is frozen. Great Post more people need to know how to freeze their meat.. pardon the pun. When you buy quality beef and ruin it by not storing it right then why buy good meat.